Centuries worth of history, creativity, and culture come into focus in these three European capitals. 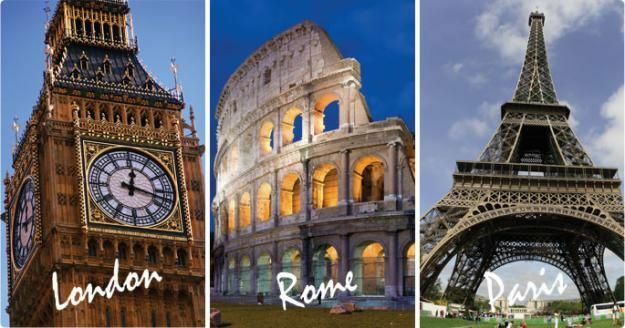 See the bold iconic monuments, like London’s Big Ben and Paris’ Notre-Dame Cathedral. Discover Rome’s former ancient empire, from the awe-inspiring Roman Colosseum to the mathematically precise Pantheon. In Vatican City, no smaller area holds so much power to a certain way of life.